Please check back for specifics then. 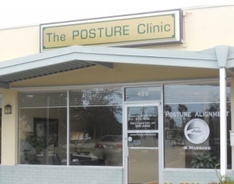 We offer a weekly one hour Posture & Functional Exercise Class Tuesdays 4:40-5:40. Looking for a Small Group Exercise Class? Want non-functioning body parts to function again? Want to understand how your Posture and Pain are related?? Want to get the kinks out? Want to feel GREAT and reduce or eliminate pain? Experience balanced muscle and joint function and body mechanics. Move more easily in all 3 Planes of Movement. Gain increased strength, balance, range of motion and decrease your limitations. This class is open to participants who are not in chronic or acute pain and are cleared for exercise by their doctor. Participants must be able to get down and up from the floor and be able to lift their arms up to shoulder height. Catee Ingwersen, LMT, Posture Alignment Specialist certified/trained by Egoscue University in The Egoscue Method-world leader in non-medical pain resolution without drugs, surgery or manipulation. She has 9 years experience as a group exercise instructor. Please wear non-restrictive clothing appropriate for exercising and movement. Please bring water if you normally hydrate during or after exercise. The carpet is well padded but you might want to bring a yoga mat for extra comfort.